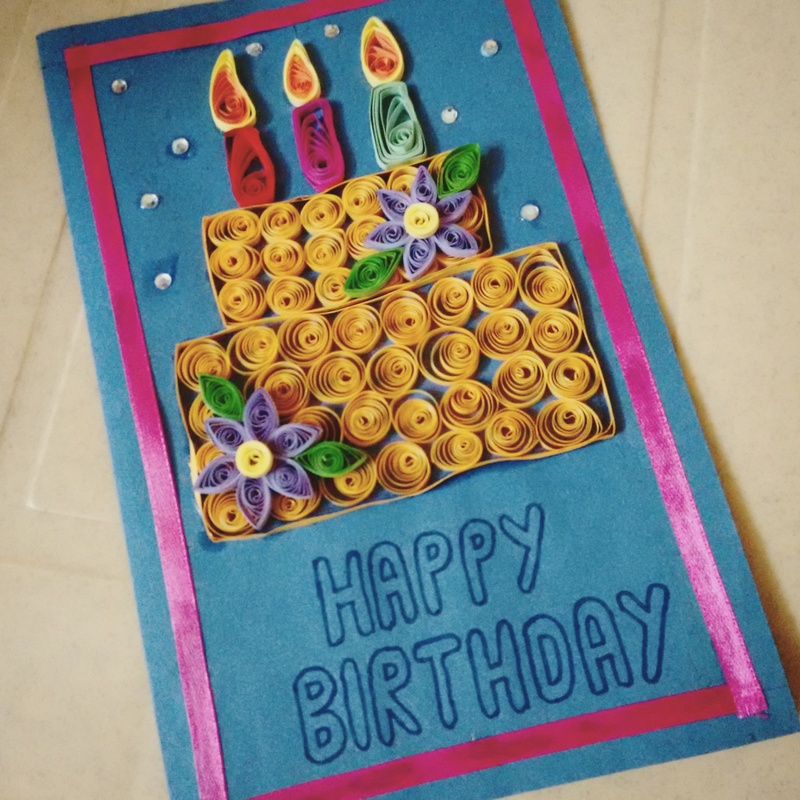 Quilling Tutorials by Lulupu – My Experiences! Quilling or paper filigree is a delicate art. For those who are unaware of this wonderful art, quilling involves the use of strips of paper that are rolled, shaped, and glued together to create decorative designs. The paper is rolled, looped, curled, twisted and otherwise manipulated to create shapes which then are used to adorn greeting cards and other objects, including making jewellery. When I learnt quilling, it was not really a smooth road for me. I learnt quilling via self-exploration of youtube videos and some help from my sister who already knew the basics of quilling. Also, because she lives in a different city, it was not really possible for me to approach her for every small difficulty I had while learning. While I have made reasonable progress, I still feel that if I had a come across a systematic Hands-On tutorial of sorts, my journey would have been way smoother. I was recently invited by Lulupu – the Craft Lounge and Infinite Emotions – the Card Shop to undertake and share my experiences with their Quilling Tutorial – Beginner Course. And here is my experience about the same. The link to buy the course is here. More information can be easily sourced by dropping a mail at tutorials@lulupu.com with ‘Query – Beginner Course’ in the subject line for more details about the course. The Course is 3 modules online course with Hi definitions videos. It includes over 6 hours of high quality, comfortably paced video content that will help to learn the minutest of the details of quilling basics. The voice over is currently in English, and they are also working to get the instructions in Hindi soon. The content is spread out over 3 days and divided into portions of content that can be grasped and executed in a day’s time. The paced is very comfortable without any attempt to cram in excessive information without adequate teaching and care. The Christmas wreaths, usually made of evergreens, most often pine branches or holly and often decorated with pine cones, holly berries, fruits, etc are hung on doors in the festive season. Without claiming authenticity with regards to this interpretation, it believed that the wreath’s circular shape represents eternity, for it has no beginning and no end. From a religious perspective, it represents an unending circle of life. The evergreen, most frequently used in making wreaths, symbolizes growth and everlasting life. Super quick Quilled Congratulatory Card for Beginners! Here is something I made for a very dear friend as she started a new job! Wind a quarter length of the standard paper quilling strip into a coil and then open up depending on how curly you want the feather segment to be! Stick them into the color sequence of light spectrum – VIBGYOR. I lost my way in between. Rest of the artwork is done with sketching pens. So here is my latest Quilling project! It’s one of the ideas of Pinterest which I have modified for my own wishes! I wanted to depict a cake cutting ceremony usually held at the stroke of midnight, hence the blue backdrop and the stars! Usually I end up thinking something and executing something, so I am happy to admit that I stuck about 85% to the original plan!